Maribor is the second-largest city in Slovenia with about 95,500 inhabitants in 2016. 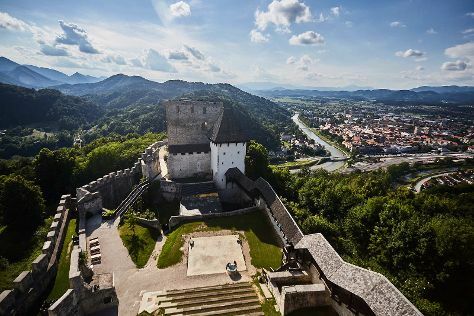 On the 11th (Sat), see the interesting displays at Old Vine House, then examine the collection at Ptuj Castle, then appreciate the history behind Orpheus Monument, and finally step into the grandiose world of Celje Castle. Get ready for a full day of sightseeing on the next day: explore the striking landscape at Piramida (Pyramid Hill), then stroll through Mariborsko Pohorje Ski Resort, and then indulge your taste buds at Sladolednica Lastovka (Trg Revolucije). To find more things to do, photos, and other tourist information, read our Maribor itinerary builder. If you are flying in from Croatia, the closest major airport is Ljubljana Jože Pučnik Airport. February in Maribor sees daily highs of 7°C and lows of -3°C at night. Finish your sightseeing early on the 12th (Sun) to allow enough time to travel back home.